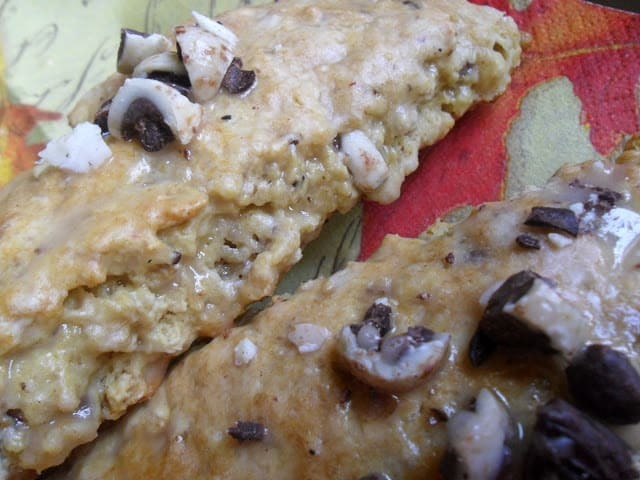 Espresso ‘n Cream Oatmeal scones with Coffee Icing are so delicious. The scones have a wonderfully warm and mild coffee flavor. The coffee icing adds just the right amount of sweetness when drizzled over the scones and then topped with chopped, chocolate covered espresso beans. 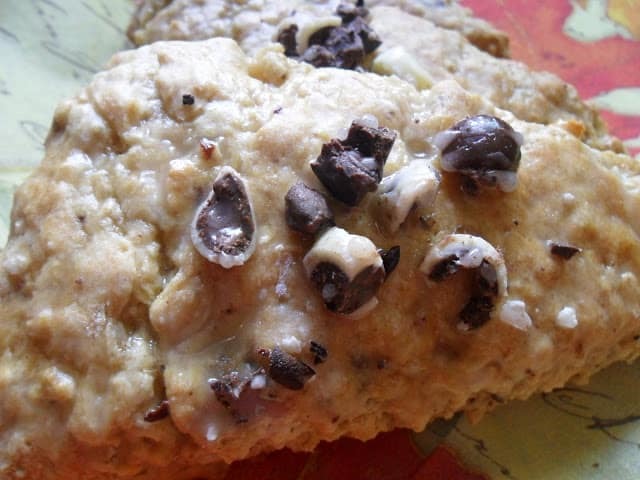 Perfect for eating on the run or as a mid-afternoon pick me up, espresso ‘n cream oatmeal scones are great anytime. Coffee Icing is a delicious coffee flavored icing that is perfect to drizzle over scones, muffins, cake or any sweet treat that needs a subtle coffee flavor. For an added bonus, top each scone with chopped chocolate, covered espresso beans. Many people say that they don’t like coffee flavored anything but rest assured you will like these, the coffee flavor is light and subtle, adding that touch of coffee flavor. This recipe calls for chopped chocolate covered espresso beans. I listed them as optional but I highly recommend adding them. You only need a few sprinkled on the top of each scone to add a nice chocolaty, coffee crunch. We purchased the chocolate covered espresso beans used in this recipe at Trader Joe’s. 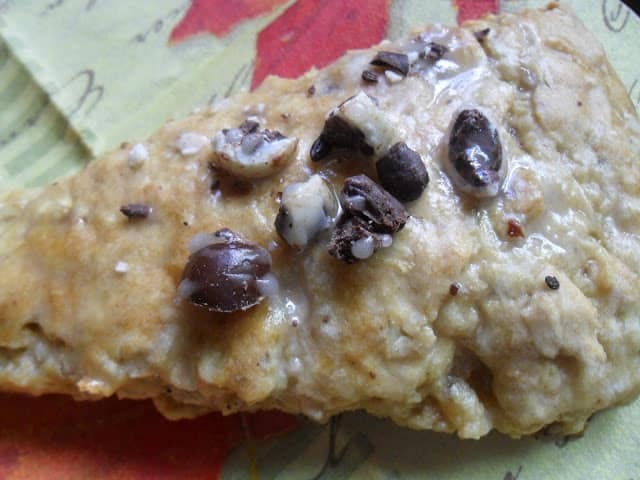 A delicious coffee flavored scone with the added sweetness from chocolate. In medium bowl stir together flour, rolled oats, packed brown sugar, baking powder, salt, baking soda, and pumpkin pie spice. In small bowl, combine beaten egg, cream and cooled espresso or coffee. Add egg mixture to flour mixture, stir together. Turn dough onto a floured surface. Knead lightly 8 to 10 times. Pat into a 10 to 12 inch circle. Cut into 10 wedges. So yummy! Love the idea of using coffee creamer in baking!